Whether or not you follow the National Football League, there’s an emerging story that I think is worth your attention. Yet he recently tore through the NFL combine. Not only did he run a 4.38-second 40-yard dash, the best time for a linebacker in over 10 years, he also bench pressed 225 pounds 20 times in a row. I root for the San Francisco 49ers, and I sincerely hope they draft Griffin. Not only is a he a heck of a player who will improve the defensive, but I would be proud to have such an inspiring guy on my team. So many kids model their hopes and dreams after athletes and celebrities, and this is an amazing opportunity to show them that they have no limits. What’s your favorite inspiring story? This entry was posted on Wednesday, March 7th, 2018 at 11:32 pm	and is filed under sports and tagged with sports. You can follow any responses to this entry through the RSS 2.0 feed. Admittedly, I don’t follow, nor do I know much about sports, and while I don’t have an inspiring story to share with you, thanks for bringing this young athlete to my attention. Whether you follow sports or not, clearly his is a story which needs to be shared often. This why I follow you -great inspirational story! I want to add to my previous post – this now reminds when I was younger. I was driving to work feeling a little down about something, then I saw a guy walking his dog. The dog was really happy and loving its walk, but when I got closer – I saw it had three legs! 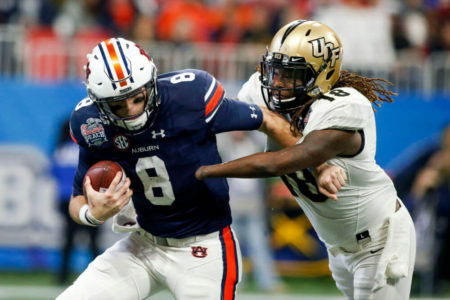 It gave me a proper perspective, and like the Shaquem Griffin post, inspiring!